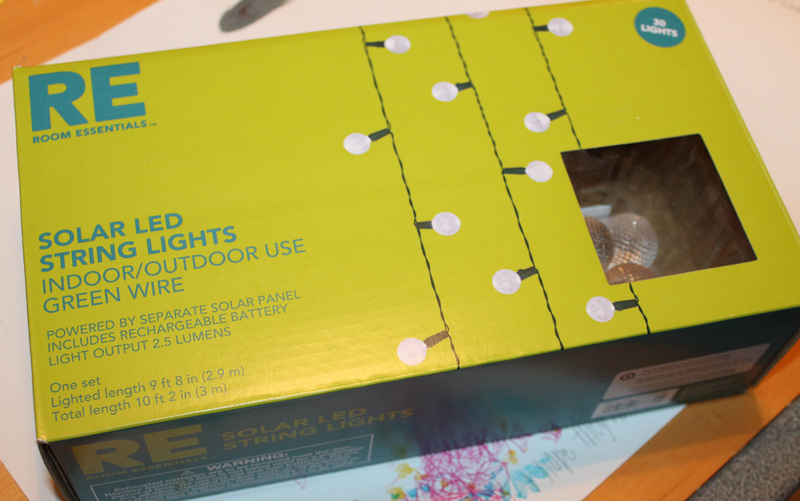 Doodlecraft: DIY Solar Power Vintage Arrow Light Up Marquee! DIY Solar Power Vintage Arrow Light Up Marquee! 11 year old scout in just a few hours! Nothing quite as awesome as a vintage style arrow in comic book red! or deal with cords and plugs. Then I discovered Solar Power lights! Yay! So that was my only cost in this project, about $20. You could use Christmas lights...or other string lights. We started with a scrap piece of plywood we found on the street. I folded it in half and then sketched out my pattern. I cut it while it was folded so it would be symmetrical! Then traced the arrow pattern onto the board. so we switched and cut it with the tablesaw! Got a drill bit large enough to fit the green part, but not the bulb cover. Sanded it all smooth and set it out to spray paint! Comic Book RED of course! and stapled the lights on the backside of the wood. Then attached the bulb coverings--I love that they are plastic! Screwed on some screw eyes and wire for hanging! And, then, if I had a darling front porch...this would be the perfect little addition. But our porch is small and ugly, so it's going on the back fence! With the solar panel exposed so we can get some sun! Great at as a photo prop too! Perfect-o! And only a few hours in the making! Pretty good for an 11 year old scout project! Oh I so love this! such a great use of solar light! You (and you 11 year old) did a super awesome job! This is too too cool! You should recommend it as a Home Depot Do-it-herself or Kids-do-it project. Great job! This is too cool! I love that you used solar lights! I have to find some of these. We made some marquis lights for my sons birthday but now I want to try again with solar. This is soo stinkin cool!!!!! Love it!! I found this on Tatertots and Jello! Please come share this on DIY Sunday Showcase! It's a party I cohost and I would love to see this on there!! And it's open now!! This is an awesome sign!! Love it! What a great idea - I love it. I especially love that it's solar powered. Thanks for the inspiration! I found you on Shelly's blog at Minette's Maze. So, so, so adorable and genius!!! This is such a fun idea! Pinned! I think this vintage Marquee is easy to create as well as give a decent look too.